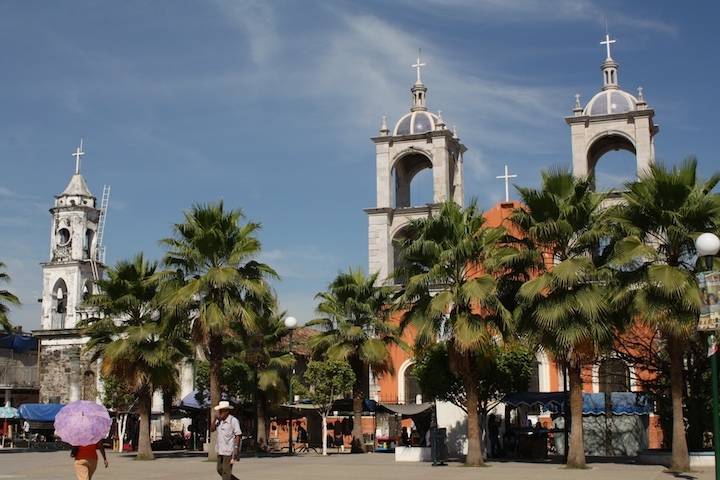 Many still consider travel to Mexico too adventurous. Or I guess to call a spade a spade, they consider it dangerous. I know I meet them. So when I decided to rent a car and take a solo road trip inside Mexico people thought I was inviting danger. I was beyond “staying adventurous;” I was crazy. Maybe you do too. But I dreamed of another road trip in Mexico ever since my Acapulco adventure years earlier and I didn’t worry. No, my only thought – where to go? I searched for a coastal beach town inside a day’s drive from Mazatlán preferably with some surf. I located San Blas. The four hour ride would make for the perfect distance. Not too far, not too close. Next I needed a car. I booked my reservation with Avis and selected its Pueblo Bonito Emerald Bay location in Nuevo Mazatlán. When I arrived, my reservation was ready. 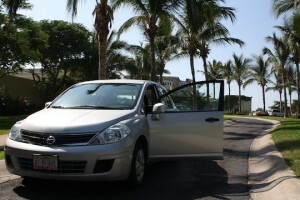 Then after some extensive paperwork, since it was my first rental in Mexico, I received my key. My first thought was directions, so I asked for a map. But after a conversation with the friendly Avis rep I decided to upgrade. 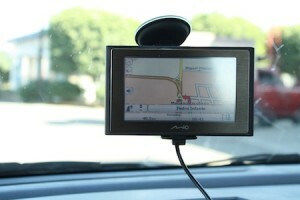 I purchased the GPS. Yes, the GPS can be a classified as expensive, (a few dollars more than you’d pay in the US per day) but well worth it in a foreign country. And although I wanted to experience the open road, I decided on the convenience and the backup of good directions. This trip was not designed to get lost like others such as Bogota or Guatemala, but rather to enjoy a the road and enjoy my time in San Blas. I walked outside to inspect the car with my key and signed off on its condition. I debated insurance once again (see below) but decided to keep faith in my Amex card. I started her up and plugged in my destination to the GPS. Next stop – San Blas. I pulled out and felt alive. Free. My route took me across a border, a Mexican State border, and on my return I was stopped. The government performs regular agriculture inspections. The states of Nayarit and Sinaloa grow much of Mexico’s fruits and vegetables and it was no different than my crossing from Oregon to California years earlier. I had no fruits, no vegetables and no problemas. The four hour ride, largely on well paved Mexican toll roads, delighted. The highways, considered expensive to drive, are largely empty as most locals actually don’t use them. Tolls of 85 pesos and 170 pesos emptied my wallet and can make a dent in anyone’s travel budget. 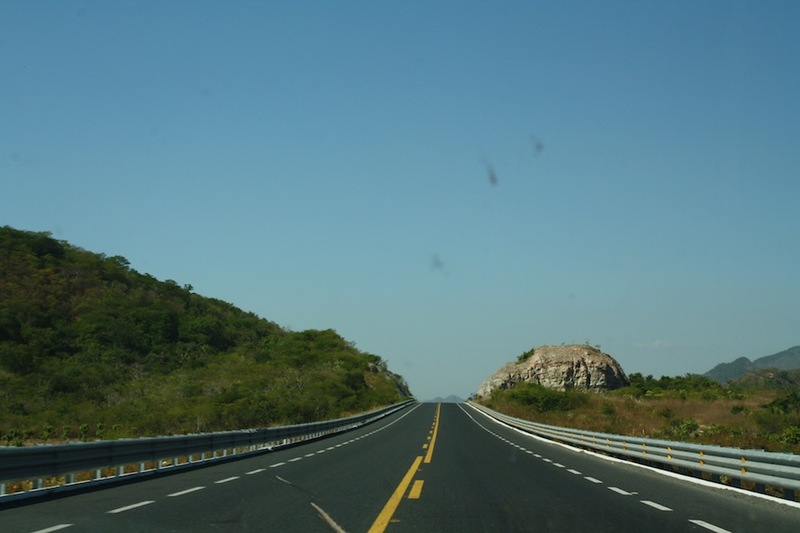 But the roads are well maintained and as a novice driver in Mexico, I appreciated the smooth sailing. After I exited the toll roads, I entered the local routes and my destination although closer in miles, seemed further away at the slower speeds. But the slower pace provided a better chance to view the countryside; to see a different side of Mexico. Do you need a car in San Blas? No, but it certainly was a treat and my trip easier. In town for three nights, I really enjoyed access to transportation, my own transportation. I stayed downtown across from the local gringo bar and a block form the main plaza (this way I can walk home after a few cervezas each night). But in the day I drove. I drove up the hill a few miles away to tour the Spanish ruins one morning and then returned one evening to watch the sunset from the fort. Plus, I took a many five minute drives to the beach too. One day included three trips, once to ride some San Blas surf, a second to visit to photograph the murals along walled perimeter of the naval base, and then a third for another the splendid sunset. The roads were safe and the car helped. It provided the freedom desired on any road trip. And now, after it, I might actually find myself renting a car once again future trips to Mexico. Too adventurous? Dangerous? No, not at all. Tip: Should I get insurance? The law requires you purchase liability. The rental company can include the insurance in the rental, but it’s a separate fee required by the government. Other coverage, for any other damage to the car, might be covered by your credit card. But it’s important to realize the rental company charges the card for the any damages incurred. Then its up to you to work with your credit card customer service to have your money credited. The rental company is no longer involved and you deal with the repair estimates from the mechanic. I didn’t purchase the insurance, but it might be worth it not to deal with any potential “disagreements” after you return from your holiday. This post is part of the Mexican March Madness 2011 series. Also, I’d like to thank Avis Mexico for providing me a discounted rate on my car rental. I’ve driven in Mexico and didn’t find it to be any more difficult than driving in the US really. Good for you for trying it out in spite of what the naysayers have said. Thanks Talon. I agree, hopefully more people start to realize it too. Allie, some say I am all about Mexico…that may or may not be true, but I do write often about my adventures there. Thanks for stopping by, and glad to hear you too love Mexico.